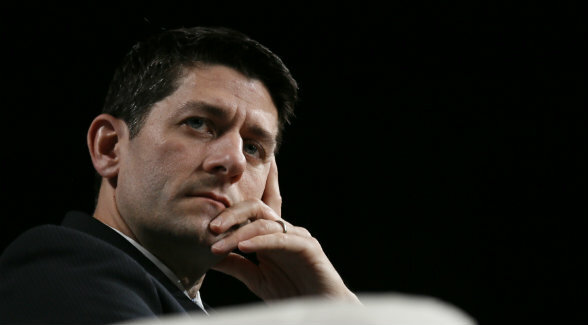 House Ways and Means Chairman Paul Ryan sees a possible window for tax reform in 2015. The potential repeal of like-kind exchanges jeopardizes landowners and other investors. Over the past year, a variety of proposals have emerged from Congress designed to gut the tax code and create a simpler, more fair taxation framework. While many deride the U.S. tax code as “broken,” many sections, including Internal Revenue Code Section 1031, function well. Section 1031 allows property owners to defer capital gains tax and depreciation recapture when they sell business-use or investment properties and reinvest in qualifying replacement property. This process is commonly referred to as a Section 1031 or “like-kind” exchange. Currently, in both the Senate and House proposals, Section 1031 has been targeted for elimination. Additionally, the President’s 2016 Budget proposes severe limits to the provision. First enacted in 1921, the like-kind exchange has served as one of the most effective and longest-standing tax code provisions. The premise behind Section 1031 is that taxpayers should be allowed to defer tax as long as they continue to invest in “like-kind” assets. Congress recognized that it is unfair to tax a paper gain when there has been no cashing out of the investment. Certain business-use and investment assets are inherently illiquid. This is especially true of real estate, a critical driver in the overall U.S. economy. For nearly a century, Congress has promoted real property ownership through such exchanges with the idea that investment should not be stifled due to fear of the tax consequences of selling. Like-kind exchanges allow domestic businesses to efficiently expand and prosper while stimulating economic growth. Exchanges are used by a myriad of businesses, including farmers, ranchers, recreational landowners, commercial real estate investors, equipment and machinery owners, and other businesses that invest in real estate and other capital assets. Like-kind exchanges also help promote environmental conservation by allowing ranchers and farmers to sell conservation easements on environmentally sensitive parcels to conservation organizations, defer the tax, and fully reinvest in more productive, less sensitive acreage. A 2015 Ernst & Young study on the economic impact of repealing like-kind exchanges concluded that repealing the like-kind exchange rules would slow economic growth, reduce GDP, and hurt owners of real property and many U.S. small businesses. The study confirmed that a repeal of Section 1031 would result in taxation of investors across a wide spectrum of industries that, absent the tax, would continue their investment in real property and other capital assets. Both House Ways and Means Chairman Paul Ryan and Senate Finance Committee Chairman Orrin Hatch have stated there is a window in 2015 for tax reform. Senator Hatch commissioned bipartisan working groups in the Senate and charged them with providing him input by May. Congressional leaders have stated that even if tax reform cannot be accomplished in the near term, they fully intend that the current bipartisan effort will serve as the foundation for passage of legislation when a more welcoming political climate presents itself. Insiders believe that if a repeal or limitation on Section 1031 is included in a new draft bill, it will be a very difficult, uphill battle to preserve Section 1031. The overarching objective for everyone who benefits from this powerful economic stimulator must be to avoid having Section 1031 included in a new tax reform bill. While endeavors to simplify the tax code are well intended, proposals for repeal or limitation of Section 1031 would have a chilling impact on real estate markets as well as the larger overall economy. Scores of opinion leaders, real estate professionals, industry associations, and other stakeholders have cautioned that elimination of Section 1031 would hit the real estate sector hard and have a dramatic negative impact on real estate owners and investors. They have also singled out the impact a repeal would have on service providers whose businesses involve real estate transactions, such as brokers, legal counsel, taxation specialists, and other companies that support and facilitate real property ownership. Since the proposals for repeal/limitation of Section 1031 appeared, a diverse range of 60 national, regional, state, and local industry and business associations have registered their support for like-kind exchanges and called on Congress to preserve this vital economic stimulant, including the American Farm Bureau Federation, the American Farmland Trust, the Conservation Fund, the Land Trust Alliance, the National Cattlemen’s Beef Association, The Nature Conservancy, and the Trust for Public Land. The leaders of these associations recognize that the threat to Section 1031 is real, and they are taking action. All stakeholders who utilize exchanges are encouraged to contact their representatives and senators and tell them that Section 1031 should be preserved. A short letter to Congress can be sent via www.1031taxreform.com. The process is easy, and it is critical that our elected officials hear the voices of taxpayers imperiled by such short-sighted legislation. — David Brown is the owner of IPE 1031, a qualified intermediary company specializing in land exchanges. A member of the Iowa State Bar, he serves on the Government Affairs Committee of the Federation of Exchange Accommodators. 2 Pings/Trackbacks for "Congress Pondering 1031 Exchange"